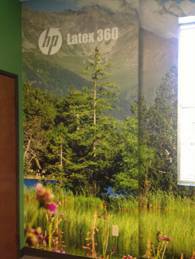 Need a Custom Wall Murals? 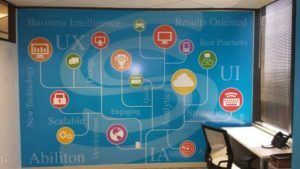 Wall murals can be right for you – whether you want to simply add a border around the room, create an accent wall, strategically position your company logo, or cover the entire room. 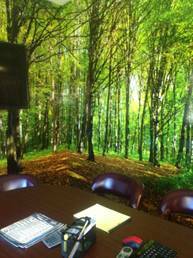 Let us help you get the right wall murals for you. Consider what your objectives are. Are you wanting to draw attention to the message or a part of the space? Or are you wanting to cover up something that is unsightly? Are there any obstructions on the wall? Things like windows, doors, or moldings? Consider how these might be incorporated into the design. What is the overall look and feel of the space? Is it contemporary and sleek or is it more reserved and traditional? Consider how the wall murals will fit in the space. Choose art that is very high resolution. 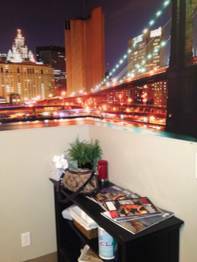 Wall murals are large and need art or photos that are very high resolution in order to look sharp and beautiful at the large size. Need An Affordable Logo Sign? 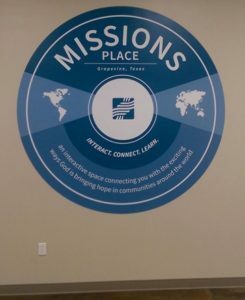 Read our recent blog to learn more about how wall murals make affordable signs. Especially if you have a new business, this option can be a great one for you. Call us for a free consultation! High Value Signs & Studio is a full-service sign company serving Dallas, Fort Worth, Irving, Coppell, Lewisville, Grapevine, and Flower Mound and surrounding cities. 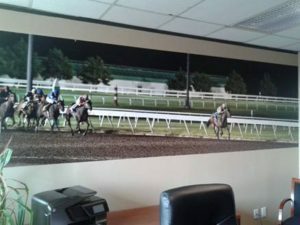 We do custom wall murals and graphics, decals, posters, trade show displays and booths, vehicle wraps and graphics, window and floor graphics, lobby signs, building signs, monument signs, dimensional letters, and much more! We are a certified woman-owned business enterprise supporting your diversity goals. Wall Mural - a great conversation starter! © additional hints buy viagra switzerland High Values Signs & Studio 2017. Site developed & maintained by WSI.